It is by no means easy for US residents to take part in online gaming. Due to UIGEA, a number of high-profile operators stopped accepting US players altogether. Of course, there is still a fair share of reputable casinos where United States residents are welcome, but even at those venues, they tend to face problems when trying to make a deposit or request a withdrawal. Many leading banking institutions across the United States do not allow their account holders to make payments to gambling websites, meaning it has become increasingly difficult for US gamers to play their favourite casino games online. With that in mind, they will be glad to hear that a new payment solution called UPayCard was recently rolled out, and the first signs suggest it could go on to become one of the favorite banking methods for US players. Making UPayCard casino deposits is very easy and takes less than a minute. 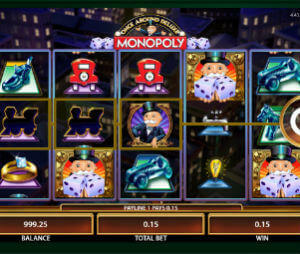 The best part is that you can also use it to withdraw your winnings in a prompt and safe fashion. UPayCard is an electronic wallet designed to make quick and hassle-free online payments that keeps the customer’s sensitive financial details confidential at all times. Operating under the strict UK laws, the payment provider adheres to the latest security protocols, allowing secure deposits and withdrawals to online casinos and other virtual gaming venues. Customers have the option to create a separate account for each currency and thus avoid high exchange fees, while having access to numerous other benefits. The good news is that there are no monthly fees or charges for creating an account, receiving money or requesting an online statement, while deposit fees range from 1.2% to 2.9% and withdrawal fees are $3.5 for ATM cashouts, 1% for money transfer and $10-$25 for wire transfers. Customers can use Bank Transfer, Visa, MasterCard, UnionPay or Bitcoin to fund their UPayCard accounts, while they can purchase a physical MasterCard and then easily withdraw money at any ATM across the globe. US players can easily find the list of casinos that accept UPayCard on this page and then make deposits to said gambling venues without any issues. While their respective banking institutions would almost certainly reject credit card or bank transfer deposits to those casino rooms, they will be able to make instant deposits using UPayCard and start enjoying their favourite games on desktop, tablet or smartphone. Very low fees make UPayCard a much better option than credit cards or bank wire. You can also rest assured that all financial transactions will be 100% secure and confidential, given that their personal and financial information is kept private at all times. How to make UPayCard Casino Deposits? You first need to create UPayCard account and then fund it using Wire Transfer, Visa, MasterCard, UnionPay or Bitcoin. Once the money is in your account, you need to request a physical MasterCard and you can also get a virtual MasterCard that can solely be used for online payments. Both of these are linked to your UPayCard balance and once activated can be used to make instant deposits at online gaming websites. All you need to do is select MasterCard as payment method at an online casino and enter the numbers from your physical or virtual card to complete the transaction. UPayCard customers also have the option to keep their funds in the UPayCard eWallet, which is a good way to protect your money in case your MasterCard gets lost or stolen. You can easily transfer funds between the eWallet and MasterCard at any time.